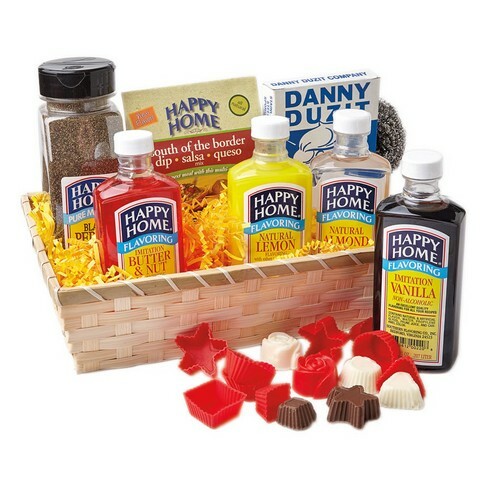 Happy Home Gift Basket, Gift Sets: Southern Flavoring Company, Inc.
Our Happy Home Gift Basket contains an assortment of our popular baking flavors plus a selection of helpful kitchen items and yummy food products. This is the perfect gift basket for those hard-to-buy-for friends and family members. Actual basket and contents may vary slightly from picture.